Familiarize yourself with the Epitome, a summary of Apollodorus’ Library. Search Apollodorus’ Library and compare a few of the stories that you have studied in class with the version he presents. Explore The Ovid Collection at the website of the University of Virginia. It contains a variety of resources on the Metamorphoses. Click on Ovid Illustrations and view the illustrations of the stories of Pomona and Vertumnus and Ceyx and Alcyone, as well as any others of your own choosing. Read the sections of Ovid’s Metamorphoses that treat the myths of local heroes and heroines, especially Ceyx and Alcyone, Atalanta and Hippomenes, Baucis and Philemon, and Pyramus and Thisbe. Read Ovid, Heroides 18, a letter from Leander to Hero. Boccaccio’s “Concerning Famous Women,” a poem that includes the tale of Pyramus and Thisbe. Shakespeare’s A Midsummer Night’s Dream, which includes a play of Pyramus and Thisbe. Compare and contrast the versions of the Pyramus and Thisbe story you have read. Read Tennyson’s poem “Hero and Leander,” and listen to Victor Herbert’s symphonic poem, below. Watch the Pyramus and Thisbe scene from Shakespeare’s A Midsummer Night’s Dream on video. Then compare the scene in the opera A Midsummer Night’s Dream, by Benjamin Britten. You may want to watch Paul and John of the Beatles play Pyramus and Thisbe. Be sure to hear Victor Herbert’s Hero and Leander, a beautifully expressive symphonic poem. What are the details in the story of Pyramus and Thisbe, and how do you account for its appeal? Compare the treatment of the Pyramus and Thisbe story in Ovid with Shakespeare’s treatment in Midsummer Night’s Dream. Discuss the wider contexts in which each author sets his version of the tale. 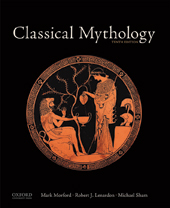 Compare Ovid’s treatment of the metamorphosis and its cause in the tale of Ceyx and Alcyone with those in the stories of Anaxarete and Iphis, Baucis and Philemon, and Pyramus and Thisbe. Discuss how Ovid in his Metamorphoses effects the narrative transitions into the stories of Pomona and Vertumnus, Anaxarete and Iphis, Ceyx and Alcyone, Atalanta and Milanion, Iphis and Ianthe, Baucis and Philemon, Byblis and Caunus, and Pyramus and Thisbe. What effect, if any, do these transitions, as well as the identity of the narrator, and the audience to whom the tale is told, have on the reception and interpretation of the story?